Columbia Gas of Virginia, a member of the Common Ground Alliance (CGA) and Virginia 811, announced that CGA and more than 30 of its member organizations have partnered to sponsor jockey Victor Espinoza, who will ride the early favorite at this Saturday’s 141st running of the Kentucky Derby at Churchill Downs. CGA is the national organization dedicated to protecting underground utility lines and the safety of people who dig near them. Virginia 811 (Miss Utility) is the 811 center operated by utility operators with facilities in Virginia. CGA members sponsored Espinoza for all three Triple Crown races in 2014, including wins at the Kentucky Derby and the Preakness Stakes, and are sponsoring him for 600 other races throughout 2015, including the Longines Kentucky Oaks at Churchill Downs on May 1. Last year’s sponsorship led to widespread media coverage and record-breaking traffic on Call811.com. Espinoza will wear the “Call 811” message – which promotes the national “call before you dig” phone number – on his saddle and his boots at Churchill Downs. The free 811 service helps homeowners and professionals who plan to dig notify multiple utility companies with one phone call. 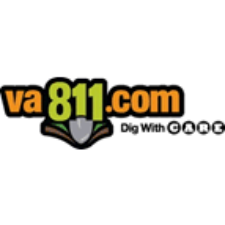 Everyone who calls 811 at least three days before digging are connected to VA811, the Virginia utility one call notification center, and the representative will take the caller’s information and communicate it to local utility companies. Professional utility locating technicians will then visit the dig site to mark the approximate location of underground utility lines with spray paint or flags. Once a site has been accurately marked, it is safe to begin digging around the marked areas. Digging without knowing the approximate location of underground utilities increases the likelihood of an unintentional damage, which can cause serious injuries, service disruptions and repair costs. According to CGA data, nearly half of American homeowners who plan to dig this year will not call 811 beforehand, putting themselves and their communities at risk. In 2014, Columbia Gas of Virginia responded to a damaged natural gas line every 36 hours. Many of the damages were the result of individuals failing to call 811 and have the underground utility lines marked. The following CGA member organizations contributed funds to sponsor Espinoza: Alabama 811, Atmos Energy, Avista, BGE (Baltimore Gas and Electric), ConEd, DigAlert (Underground Service Alert of Southern California), Dig Safe System, Dig Safely New York, Duke Energy, Enterprise Products, Georgia 811, Iowa Pipeline Association, Kentucky 811, Kinder Morgan, Magellan Midstream Partners, Miss Utility of Maryland/D.C., Montana 811, National Grid, Nebraska Pipeline Association, New York 811, North Carolina 811, One Call Concepts, Oklahoma 811, Ohio Utilities Protection Service, Pennsylvania 811, Premier Utility Services, Rhino Marking and Protection Systems, Shell, SoCalGas (Southern California Gas Company), Sunoco Logistics, Sunshine 811, Texas811, USA North 811 and Virginia 811. Pre-race coverage begins Saturday at noon EDT on NBC Sports Network, with NBC picking up the coverage at 4 p.m. and continuing through the post-race ceremony. Coverage of the Longines Kentucky Oaks race will air on NBC Sports Network starting at 12:30 p.m. EDT on Friday.